Several styles to choose from. Detailed lace border, some with tamper-proof background. Finished size of certificate is 5 1/2" x 8 1/2" and prints 2-up on standard letter size paper (8 1/2" x 11"). 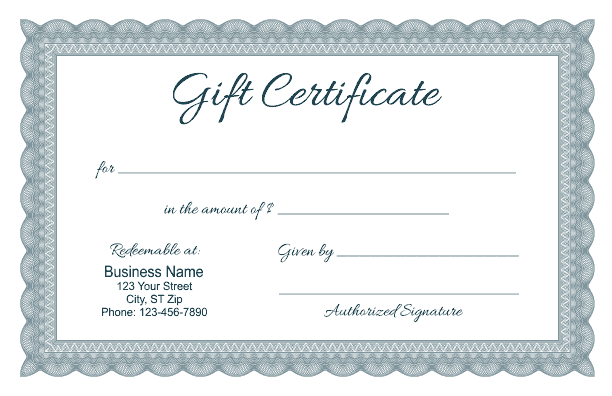 Simple, formal gift certificate template - Available in Corel, InDesign, Publisher and Word formats. Prints on standard letter-size stock. 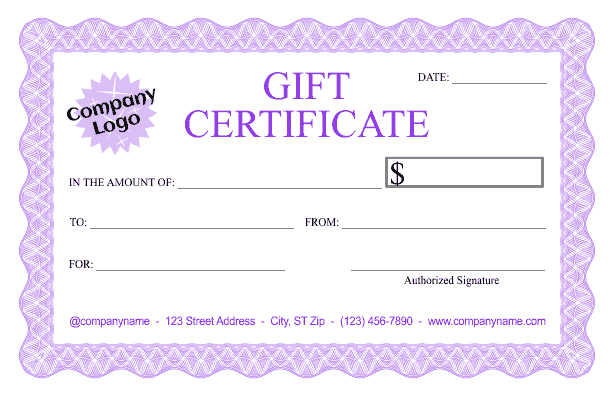 Be sure to try out our gift certificate maker if you would like to customize these templates with your favorite fonts, colors and graphics. 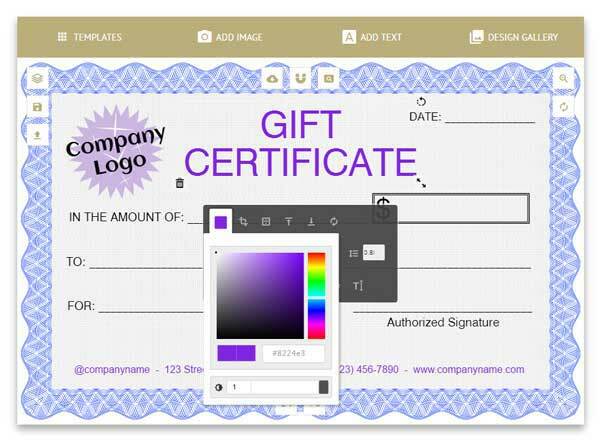 Create the certificates on this page with your choice of colors, fonts, borders and more with the free Template Trove Gift Certificate Maker. Easily customize with a few clicks and keystrokes. Large selection of fonts, borders, graphics and more.